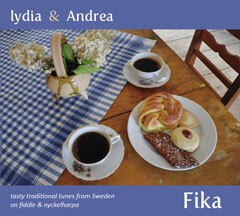 We are excited at being able to share our new CD "Fika", a tasty selection of favorite traditional tunes from our year in Sweden. 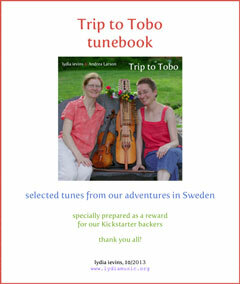 Also check out our enthusiastically received Trip to Tobo tunebook, an inspiring digital collection in PDF and mp3. See our Recordings page for more info, sound samples, how to buy. See our Calendar page for details. Recently returned from a rewarding year of studying together in Sweden, lydia & Andrea are eager to share the music they've brought home. 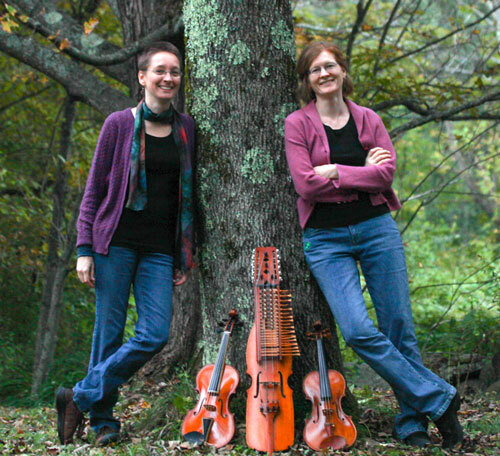 They perform an energetic and engaging program of traditional music on fiddle, 5-string fiddle, nyckelharpa, and voice.